You don’t need new hardware to take advantage of Chromecast’s best new feature. Google announced a new version of its $35 Chromecast streamer this week, but if you already own the 2013 version, you probably don’t need to upgrade. That’s because the best part of the new Chromecast is available to everyone: It’s a revamped version of the Chromecast mobile app, with the ability to search across streaming services and view recommendations from the apps you already have. In other words, it finally solves the problem of figuring out what to watch. The new app is available now for Android, and is coming soon to iOS. In addition to supporting Chromecast, it also works with Android TV devices such as the Nvidia Shield, which have the same Cast capabilities built-in. When Chromecast first arrived a couple years ago, the companion mobile app wasn’t good for much beyond the initial set up process. Once you were up and running, you’d turn to other apps, such as Netflix, YouTube, and Hulu, to send videos to the television. Bouncing between apps is fine if you know exactly what you want, but it becomes a problem if you’re feeling indecisive. What Chromecast really needed was a centralized starting point. As other media streamers such as Roku and Fire TV added their own universal search and recommendation features, the lack of anything similar with Chromecast became all the more glaring. The revamped Chromecast app serves precisely this purpose. The top of the screen now shows a search bar, where you can look for movies and TV shows by name, actor, and director. 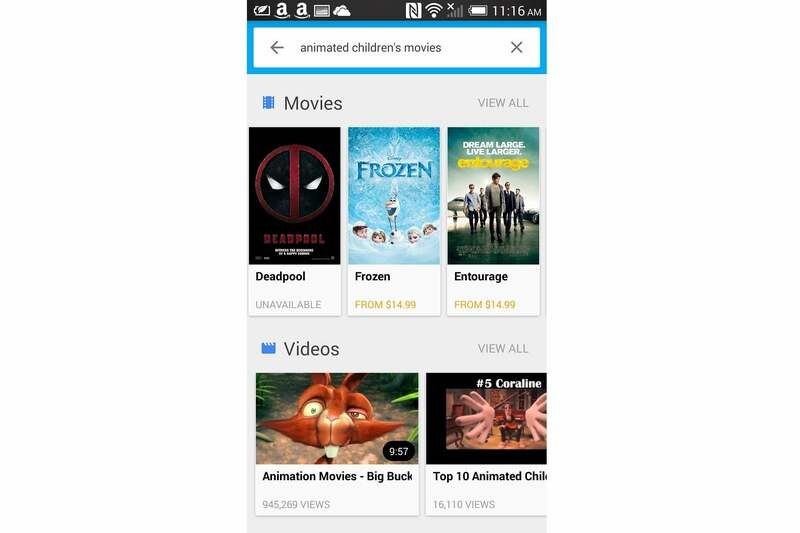 (It also handles some complex queries such as “James Bond films with Sean Connery,” though a search for “animated children’s movies” strangely included Entourage and other adult fare in its results.) The search results include a list of apps that offer the video in question, so you can open them directly or grab them from the Google Play Store. 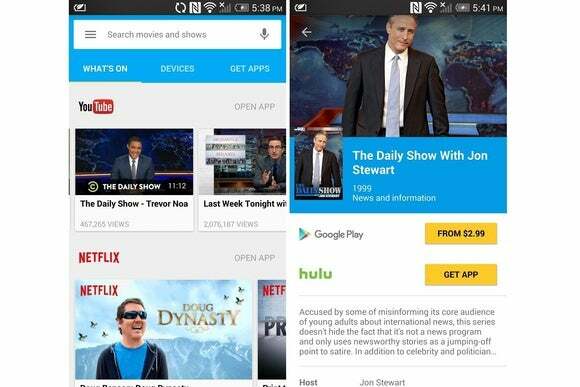 Chromecast’s “What’s On” menu shows recommendations and lists your compatible apps. At the bottom of the What’s On menu, you’ll also find a master list of any Cast-compatible apps you’ve downloaded, which saves the hassle of having to maintain a separate folder on your phone or tablet home screen. 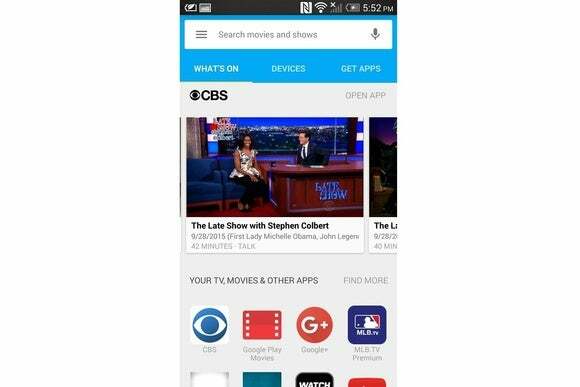 From here, you can select “Find More” to view other Chromecast apps you don’t have already. 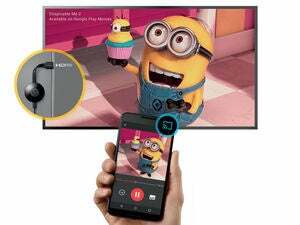 While the new app is a major step forward for Chromecast, it’s not without some problems. For one thing, you can’t launch videos directly from the Chromecast app. Hitting the “Watch” button on a video merely takes you to its landing page in the corresponding app, where you must then hit the Cast button and initiate playback on your own. It’d be nice if this extra step wasn’t necessary, or if the process was automated somehow. Complex queries can sometimes misfire. I’ve also found some weird inconsistencies between the app’s search and recommendations listings. Searching for Stephen Colbert, for instance, brings up a listing for The Late Show, but says there are no available apps for watching on Chromecast. This isn’t actually true, as you can stream the latest episodes for free through the CBS app. In fact, if you have CBS installed already, The Late Show with Stephen Colbert appears in the recommendations section. Given Chromecast’s track record for getting better with age, I’m optimistic Google will resolve these issues over time. In the meantime, the new app is great starting point for anyone with a Chromecast or Android TV.